It was 1945 and at a time in history when the American public yearned for a way to honor the fallen leader who had finally won victory after years of struggle and worry. World War II was drawing down to conclude, and in that April, Franklin Eleanor Delano Roosevelt, the nation's first four-term president, died at the age of 63. Plans were quickly drawn up within the Treasury Department to introduce a silver coin to honor the president. The symbolic reality of Roosevelt's struggle with polio lead to the founding of the "March of Dimes" fund raising campaign founded by Roosevelt during his first year in office. Polio, at that time was known only as "infant paralysis". The long 40-year tradition of inviting outside artists to compete for new coin designs was circumvented to save time in this instance. The design work was given to Chief Engraver, John R. Sinnock. Sinnock's first models were submitted to the federal Commission of Fine Arts. This was done by current acting Mint Director Leland Howard on October 12, 1945. They were rejected for specific design issues and recommended the competition process to be engaged. They named five sculptors who they felt could provide the talent. The need was to have the silver coins ready by the 1946 March of Dimes campaign that was planned to begin on Roosevelt's birthday on January 30th. The suggestion was rejected by then Mint Director, Nellie Tayloe Ross. According to records Sinnock took the review from the Commission of Fine Arts and made the requested changes. The too-small head of Roosevelt was replaced by a larger bust with a much more miniscule IN GOD WE TRUST. LIBERTY remains today in large letters, but was moved to the left, directly above the portrait. Below Roosevelt's neck small signatory initials "JS" were placed along with the date. On the reverse was displayed an upright torch representing freedom with olive and oak branches on each side to represent peace and victory. E PLURIBIS UNUM was awkwardly placed in between those elements in a single line. UNITED STATES OF AMERICA and ONE DIME are arranged in arches going around and separated one from the other with tiny dots. These last-minute revisions were approved by January 8th, 1946 by the Fine Arts Commission. They also garnered approval from Treasury Secretary Fred Vinson. With the authorizations in place, Director Ross then ordered the Mint to begin production of the silver dime coin beginning the hubs and dies, so coinage could be produced as soon as possible. There remains some controversy in this area to this day. The designs for the final model submitted by Sinnock bore an uncanny resemblance to a bas-relief bust that had been gifted to the president five years earlier. It is very close to an exact copy of this original portrait. Numismatic scholars to this day debate if the coin may actually have been designed by Selma Burke, creator of this bas-relief, with John Ray Sinnock taking the credit. This was the first coin to be issued to depict a real person. Others bore an image of the Lady Liberty, or the winged Lady Liberty called "Mercury" shown on the first dime. The first issue of the coin created a backlash from the post-war, McCarthy era paranoid and projection-happy public. Accusations came in that the "J.S." stamped to identify the designer actually stood for and demonstrated a secret Treasury Department allegiance to Joseph Stalin. Regardless of the unsubstantiated nature of the rumors, the fear generated by the notion of Communist influence had a big effect, and the next silver coin issued that was designed by Sinnock included his middle initial "R". Even when this was done, the US Treasury Department received letters asking how they had learned Stalin's middle name (which in reality was Vissarianovich). Even with this additional measure, the US Treasury Mint Department was forced to release a statement identifying the creator of the silver dime coin, and refute the claims of "Reds" having infiltrated the Treasury Mint Department. The Franklin Half Dollar was also designed by Sinnock and was also given this paranoid response. Apparently rumors circulated widely that a Russian spy had infiltrated the US Treasury Mint, and had subversively succeeded at getting Stalin's initials onto our coinage. The first Roosevelt Dime was 90 percent silver and ten percent copper. The high-silver content dimes were available from 1946 through 1964, when the metal percentages were changed by the US Treasury Department. The dimes had a reeded edge, which made it easy to see if anyone had tried to shave off any of the silver. They weighed 2.50 grams. In 1965 the Treasury Department decided to change the percentage of metals within the coins to 75 percent pure copper in the middle with 25 percent nickel, bonded onto the copper center. This is the combination still used today. These coins weigh in at 2.27 grams. They are 17.9 mm in diameter and the edges are still reeded for the sake of long-standing tradition. They are minted in Philadelphia, San Francisco, Denver and West Point. Some hub changes have occurred over time. The first occurred in 1946 when it was noticed that some of the obverse designs were indistinct. The signature initials could not be clearly viewed. Some other modifications occurred in '64 and '81, and since then new hubs are introduced frequently. 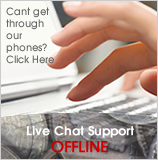 The wear that results is heavy, causing a need for repeated die sinkings. They appear almost annually but are difficult to detect without professional training. Beginning in 1950, these coins were proofed at the West Point Mint. This was done to commemorate the 50 year anniversary of the dime, and was included in the uncirculated set that year. Some find this appropriate since the West Point Mint is known to be very near-to the Roosevelt Estate, now Hyde Park, where FDR and his wife, Eleanor, were laid to rest. This is also why the unique West Point mintmark seemed to many to be a fine choice of location for circulation for this coin. The proofs that emerged from this Mint are subsequently valued higher than the others for this reason. The Roosevelt dime has been coined in Philadelphia, Denver and San Francisco. The mintmark was located just left of the base of the torch from 1946. In 1968 onward it was placed just above the date. The coins struck in Philadelphia bore no mintmark at all until 1980 when the letter P was introduced to identify the Mintage location. Coins minted in Denver and San Francisco bore the marks S and D respectively, except from '65-'67 when the mintmarks were omitted entirely. Dimes for circulation were minted through 1955 until the San Francisco Mint was converted into an assay office for ten years. The two other mints continued production until 1965 when the facility in San Francisco had to be reactivated to deal with a crisis of coin shortage. During the last months of 1965 a series of silver dimes dating 1964 that carried no mintmark, were struck. Proofs were coined at the Philadelphia Mint beginning in 1950, and these dates through 1955 are all worth more than subsequent proofs. Releasing coinage from proofs was suspended when the copper-nickel dimes were released into circulation in 1965. There were no proofs coined from '65 through '67 except for "special mint sets" that were coined from the San Francisco Mint. These have a "proof-like" quality to their surfaces. These lesser-quality proofs are not struck as boldly as the true-proofs, and less care was taken during handling which means they now display much nicking and abrasion even when found within original packaging. The proof coinage did return in 1968. There was an S-Mint series coined beginning in 1968 that bear the mint mark S (referring to the San Francisco Mint where they were struck) and these are for sale exclusively to collectors. These are coined both as the conventional copper-nickel clad dimes, and those of the original silver standard. The regular dimes in circulation today are coined in Philadelphia and Denver. The mintage numbers for the Roosevelt dime have always been high. They ranged from the tens to the hundreds of millions. The smallest mintage run for the circulation issue was 13.5 million of the 1949-S. The high production rates make none of the Roosevelt series a rare coin. After the 1949-S there was some brief excitement over the '55 mintages--the 1955-P only had 12.8 million, the '55-D had 13.9 and the '55-S had 18.9 million. As was expected, people were on the lookout for the '55 dimes. The uncirculated 55-P only retails for $3.15 over the intrinsic value of silver it contains in today's markets while the '55-D and '55-S retail at about $2 over the silver metal content value when in "mint condition". The coin again, is the only one that has a mintmark from West Point in circulation, since all others were proofs, so the '49-P retails for around $29, the '50-S goes for about $40, the '51-S retails at $15. Even the oldest coins from the 50's to the early 60's in top mint condition can catch between $1-$3 over the silver metal value it contains. The Roosevelt dime remains the only US minted coin in circulation ever to receive a "W" mintmark since all others were only part of specially produced mint and proof sets. Since it is a circulation issue coin, higher values can actually still be found in the mint sets and proof sets. A mint-set retails for $10 while the '96-W proof goes for $25. The rarest of the entire Roosevelt series, the uncirculated proof; the 1949-S, is worth more than its silver bullion value, and in its mint condition retails for just $45. To check for wear on one of these coins, see the high-points in FDR's hair, cheek, and flame, and on the horizontal bands of the torch. The Mercury dimes are still considered to be the most beautifully crafted and their run contained the early and first 90 percent silver for all the dates and versions of that particular dime. The older, more classic dimes featured the seated Lady Liberty and the Barber dimes. The value of most Roosevelt Dimes that are pre 1965 are generally based on their silver content. 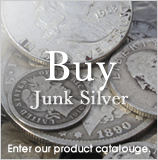 When they have negligible numismatic value, they are considered to be only junk silver coins. If they have collector value, then their value is something over the intrinsic silver content's worth. Roosevelt Dimes from 1965 and later are not made with any silver and are only worth face value. 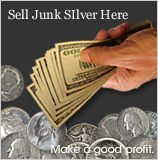 The junk silver dimes are highly sought after today because of the 90 percent silver they are made from.